$15 gift card costs $12.75. $50 gift card costs $42.50. 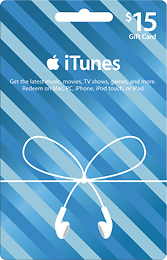 $100 gift card costs $85, among others (3 pack of $10 for $25).